The conscious mind is a remarkable thing, but there's a whole other level of awareness that, when tapped, can greatly expand your abilities. Practice "Stream of Consciousness" writing. Take 5-10 minutes, and write whatever comes immediately to mind, and just keep writing no matter how dull, strange, weird, or whatever it sounds. 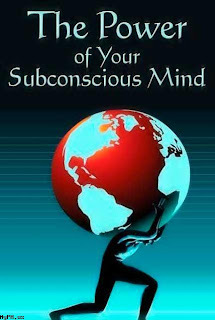 Although at first this will channel your conscious mind, it will bring up unconscious thoughts. Have patience; writing at first will be difficult but with practice becomes rather easy. Learn to Meditate. There are many methods of meditation, but all deal with focusing the mind, quiet it, and allowing you to harness it. Take an Art Class. The creative process in art of all types--drawing, photography, painting, clay, dance, and sculpture--all help tap into the subconscious. By taking seemingly disparate elements together, you may learn to use more of your mind to solve problems. Learn about the Subconscious The more you learn about the human mind, the more you can use it to enhance your life. Take coursework in psychology. Read Joseph Campbell. Take a martial arts class. Pray and/or meditate. Practice Positive Self-Talk: If you say to yourself, 'I can't do this, I'm going to fail', you will fail. However, if you say 'I can do this, I know I can', you're more likely to succeed. This process is known as "affirmation". Visualize. This is one of the most significant keys to success. Actively picturing yourself achieving a goal will help you actually achieve it. Study briefly just before bedtime. This is especially helpful for things that require memorization. If you review your periodic table, your Latin vocabulary list, or your football play book just before sleeping, your subconscious will likely process it throughout the night for you. Pay attention to your dreams. Your deeper mind will sometimes try to sort out your life issues through dreams. If you pay attention to them, write them immediately down, and reflect on it, you may get insight to the problem at hand. Listen to Your Intuition. Your intuition is a way your mind has of warning you to dangers or opportunities before your conscious mind has all the information. If you get an "uh-oh" feeling about a person or situation, listen. This is often a key step in avoiding tragedy. Article provided by wikiHow, a wiki how-to manual. Please edit this article and find author credits at the original wikiHow article on How to Control Your Subconscious Mind. All content on wikiHow can be shared under a Creative Commons license.